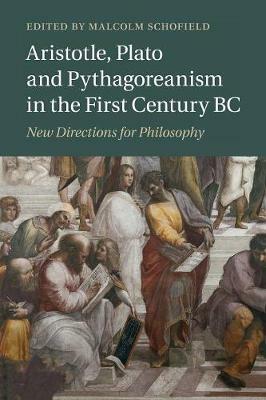 This book presents an up-to-date overview of the main new directions taken by ancient philosophy in the first century BC, a period in which the dominance exercised in the Hellenistic age by Stoicism, Epicureanism and Academic Scepticism gave way to a more diverse and experimental philosophical scene. Its development has been much less well understood, but here a strong international team of leading scholars of the subject reconstruct key features of the changed environment. They examine afresh the evidence for some of the central Greek thinkers of the period, as well as illuminating Cicero's engagement with Plato both as translator and in his own philosophising. The intensity of renewed study of Aristotle's Categories and Plato's Timaeus is an especially striking outcome of their discussions. The volume will be indispensable for scholars and students interested in the history of Platonism and Aristotelianism.